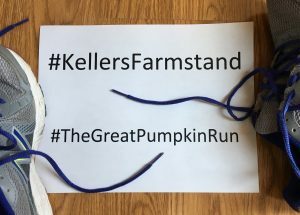 The Great Pumpkin Run is Saturday, Sept. 15th! We are hosting The Great Pumpkin Run 5K this Saturday! Enjoy running the route through our apple orchard, pumpkin patch, and corn maze! The weather is supposed to be beautiful that day. The great outdoors is calling you! Bringing family or friends to cheer you on? Each person can bring in a non-perishable food item and receive our activity wristband for 1/2 off the regular price. All food will be donated to the Kendall County Community Food Pantry. Runners get a free activity wristband at our ticket booth after the race. Sign up NOW on our The Great Pumpkin Run page listed under “Fall.” Come and enjoy a day of fun!